Have homemade wine there is a whole history and a number of traditions in the way that respect in different countries. The main thing for those who decided to make home-made wine, the question becomes - how do you determine his readiness and how to understand whether to consume the drink or it got corrupted. 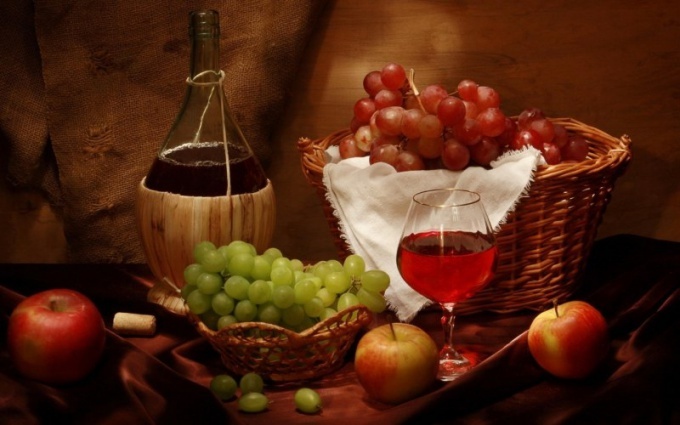 Homemade wine is manufactured according to different recipe, different ingredients, and often with the addition of other alcoholic beverages such as vodka, cognac, liqueur, red and white wines for blending. That is the composition of the formulation largely depends on the period of maturation of the drink. The most famous home-made wine is France, for many centuries, the French wine made in their unique technology. There are different time frames of how long the wine should stand to ferment. For example, if you want to wine, not very strong, sparkling, that will be enough for 10-15 days provided that you see that is out of the bottle came out almost all the gas bubbles. Experts also recommended to allow the wine a little longer: at least 40 days. And during the whole time of fermentation of the drink need to shake the bottle and remove the top of the resulting foam. The duration of infusion of wine depends on its filling. For example, wine made from Rowan berries is kept for the whole year, from gooseberry - for six months, and fastest options for wine material: currant and cherry. The wine from these berries you will be able to try in 2 months. One of the signs of cooked wine is its color. The wine must be clarified, and the whole muddy sediment stay on the bottom. Drink at least twice for the entire period of fermentation should be carefully poured into another container so that the sediment remains in the old bottle. Winemakers with experience recommend to pour the wine on a regular basis – once a month or two. The more you pour into a new bottle of drink, leaving the sediment in the old container, the better work you wine, it will have an amazing light shade. It is also important not to forget that in the period when the wine is infused, it must be placed in a dark room, preferably one where cool. Don't forget that the more infused the wine, the stronger and more tart flavor it will have. Instead of a tube on the bottle use a rubber glove, it is believed that if the glove does not inflate any more, the wine is ready, and all the bubbles are out already. You can also make a hole in the tube and stick to plain drinking tube that will go all gases in the period of fermentation. By following these rather simple rules you'll be able to understand the readiness of your wine.